What if you like fishing but don't eat fish? The only thing left for you is to practice your shooting skills – you throw the fishes into the air and shoot them from a big gun. 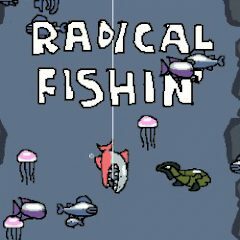 Try to catch as many fishes as possible and shoot 'em all!